Nickeema Williams is a finalist for the IDX Young Innovator of the Year Award. Nickeema Williams is a young Indigenous artist, designer and photographer who works with Hitnet and the Red Cross to record and curate peoples’ stories into positive images and videos. 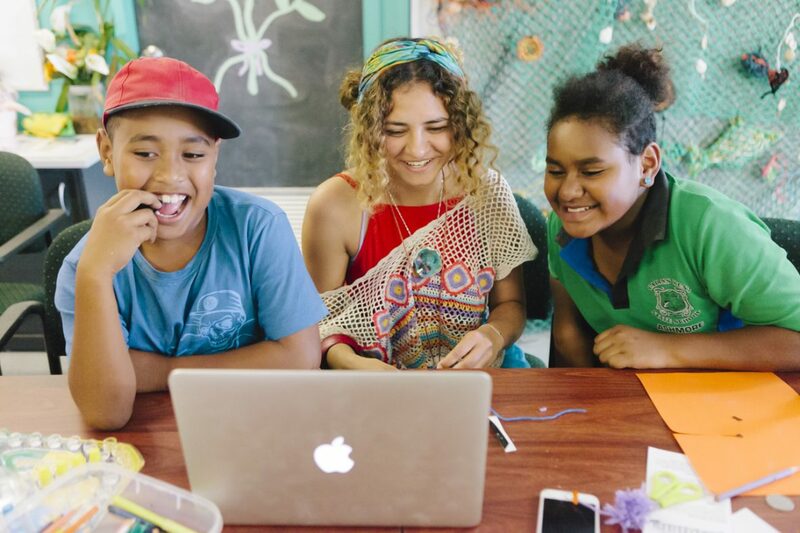 Living and working in Woorabinda Central Queensland, Nickeema combines her art and technology to create opportunities for young people to promote positive change, and increase the digital literacy of community members. Nickeema believes that art is a creative expression that flows through everything, which includes oral storytelling, dance and songs. Digitally recording this information is an adaptation of these oral traditions, and the technology helps people to do it for themselves while also improving their digital skills. “It’s fun to help record and curate peoples’ positive stories into images and videos. It’s like a digital exhibition, and it’s very insightful for them to see familiar faces on the Hitnet screens. They also get an idea of what other communities are doing, as well as accessing information on health, culture and suicide prevention” says Nickeema.